Geniet van het panoramische uitzicht dit tropisch ingerichte, vijfde verdiepingen tellende eenheid aan te bieden op de Atlantische Oceaan en de aangrenzende Wildlife Sanctuary heeft. Het toestel biedt haar gasten de spectaculaire zonsondergangen de Florida Keys zijn beroemd om, vanaf uw eigen balkon en een woonkamer. Kawama Yacht Club is gelegen aan mijl marker 100 pal aan de oceaan. Deze gated community met 24 uurs beveiliging poort biedt alles wat u nodig heeft voor een ontspannende vakantie of get-away. Het apparaat heeft betegelde vloeren porselein overal voor uw comfort en netheid. Onze unit is volledig ingericht met alle gemakken van thuis, van uw broodrooster oven voor op je blender om die beroemde tropische drankjes te maken. Huisdieren zijn NIET toegestaan ​​en dit is een rookverbod. LET OP: onze jachthaven, boothelling en visschoonmaakstation is momenteel gesloten vanwege schade van de orkaan Irma en de Tower Pool. Alle gasten hebben toegang tot twee (2) extra zwembaden in het complex. Voor de watersporters, zult u gratis gebruik maken van de oprit of contact met ons op voor meer informatie over het huren van een slip in onze jachthaven met directe toegang tot de oceaan. We voelen ons vertrouwen dat uw verblijf in Kawama Yacht Club zal een meest memorabele ervaring zijn! Jose was awesome and very helpful to accommodate us at the last minute. Their condo is beautiful and has everything! Highly recommend and will return on our next trip to the Keys. Thank the girls for babysitting our home. I must commend you for having such well mannered young ladies. They really took care of our home. Hope they had an enjoyable time and the swim competition has successful for them. Look forward to hopefully host your family once again. The owner was nice and helpful. The view from the valcony is fantastic. However, the unit is is very noisy, the second room backs onto the corridor where the elevator is making terrible noise. There is also allnight long light from this corridor. Our gilrs could not sleep in this room. One night there was a party outside as well, we had to call security to stop it. The condo is in a complex which is close to the everglades (or similar) and hence full on noses-ums. We were bitten terribly and spent most of our stay scratching, even after buying not itch cream. Everywhere it is full of them. Overall I would not stay here again and would not recommend it, specially due to the noise and bites. Thank you very much for your feedback, we truly appreciate you taking the time to express your concerns. Unfortunately, this will be my first negative review in 20 years of doing vacation rentals in our home. I also apologize for not being able to grant you a late check out of 4:00 pm as we had to turn over the home for new guest arrival that same day. We are terribly sorry to hear that you had a less than pleasant experience in our home. In reference to the noise, we sincerely apologize on behalf of the neighbors as well as the elevator, It is very unusual and unfortunate to hear this kind of complaint as there are association rules which restrict these kind of activities after hours and the elevators are brand new that were just replaced after the last hurricane. I truly would have appreciated that during our many conversations we had during your stay you would have advised me of these issues and I would have immediately found a way to correct it for you just as I did on your request for a waffle iron. We will most definitely look into this as soon as possible in order to prevent it from happening again in the future, as we dearly value the rest and relaxation of our guests. In regards to the light on the corridors I truly apologize that your young daughters were unable to sleep due to its brightness. I will bring this up to the association to see how we can remedy this for our future guests. Since our building construction has outside corridors, the lights are a mandate from the building codes and Fire Marshall. As for the No-see-ums, these little critters are found throughout the world especially in tropical/sub-tropical regions. I am terribly sorry that they were unkind to you during your stay, That portion of land that lays south of our complex is actually owned by the State of Florida and is considered part of the ecological fauna of John Pennekamp State Park. However, if you ever do decide to return to our lovely tropical paradise, mosquito/insect repellents product that is safe for children are the key factor in keeping them away. Pluses... Condo is very pretty, nicely decorated, sleeps several people. Views of the marina, Bay and Mangrove area, and a nice little balcony. The condo is decorated in a nautical/ocean decor with lots of cool collectables. Minuses ... The pool by the condo was out of commission, empty with a construction fence around it. There is no trash pick up; you have to load your garbage in to your car and drive it to a garbage area. Community is gated, and the guard is not always there. You have to call, then sit and wait for someone to show up before you can get in. Glad to hear you and your family enjoyed our home and all it has to offer from our conversation on check-out day. Sorry you didn't walk around the complex and noticed the other two pools available for your use. I will be sure to mention that to future guests so they can take advantage of all our amenities. The pool at the base of the Tower did take some damages from Hurricane Irma due to its proximity to the Ocean, but its renovation will soon be completed. The guard at the gate does do UN-scheduled tour of the grounds to ensure all is in order and will leave the gate secured for a moment. Like most gated complexes their is a dedicated area for the dumpster for the trash pick up. I thank you for bringing this up to our attention and ensure future guest are made aware of the dumpster area. Happy to see all got home safely and hopefully would welcome the opportunity to serve has your host once again. Every one in our party had a wonderful time the week we stayed in Key Largo. Mr. Penabad stayed in contact with me during the week to insure that we had everything we needed or had any issues with any appliances. Checking in to the property was a breeze. The security guards were friendly and personable. I will definitely return. I would recommend the Tower at Kawama to anybody. Glad to hear you and your friends enjoyed our home. 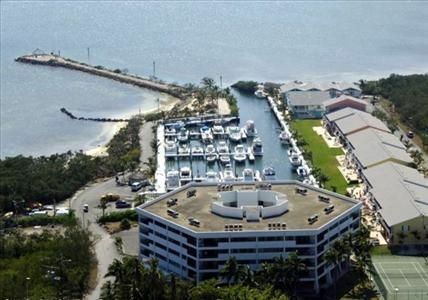 Look forward to host you again on your next trip to Key Largo. Our Homeowners Association and management team are doing an excellent job maintaining our complex in tip top shape. Very clean and well kept. Had everything we needed. And I liked it that the owners kept in contact with us. Would definitely stay again. Glad to see everyone got back home safely. Happy to hear you enjoyed our home and had a good time in Key Largo. Look forward to your next visit you all did a great job babysitting our home. We were in distress to find a place to stay because our previous reservation at another place was cancelled by the owner without much explanation. Jose was very helpful and prompt - making everything efficient and straight forward. The place was very clean and comfortable, fully equipped as a home away from home. We enjoyed the sunset from the balcony. The complex is situated next to the mangrove forest and it was very quiet - great for nature loving people like us. There are great restaurants around but the best was Key Largo fisheries - only a few blocks away where they have fresh seafood everyday (we bought and cooked them ourselves). This was recommended to us by Estella. Overall very nice stay. Will return if we visit south Florida again. Andere activiteiten: boot, winkelen, kajakken, diepzeevissen, met glazen bodem boten, Bay platte vissen. All rates are net and do not include our current tax of 12.5%. Rates shown are only an average for the year. Rates vary pending on seasons and on high demand dates such as winter, special events and holidays. Always contact owner with requested dates of reservation to get a correct quote for your stay. Copies of State and County Licenses and tax certificates will be provided on request. Rates higher over Lobster Mini season, July 4th Weekend and First day of Lobster Season opening, Christmas and New Years.